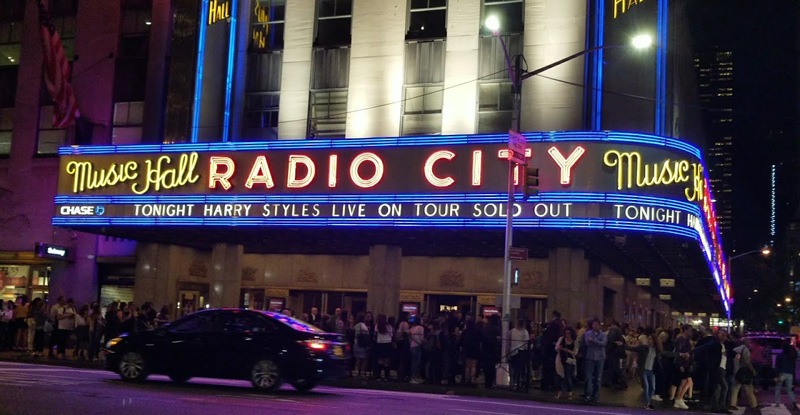 I know I have a fair amount of Harry Styles content on this blog so I just want to give a small update on my life. 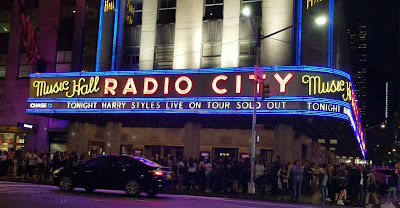 I SAW HARRY STYLES AT RADIO CITY MUSIC HALL IN NEW YORK CITY. It was amazing! One of the best concerts I have been to in a while. Harry is such a good performer. He performed Kiwi 3 times. THREE TIMES. And it was amazing every time. Such a bop. Like so high energy, such fun lyrics. He did it to convince the record label people to make it the next single. I really hoped it worked as Kiwi is AWESOME!!!. It was a pretty cheeky move on my boy Harry's part. I sat in row D of the 1st mezzanine at Radio City Music Hall. 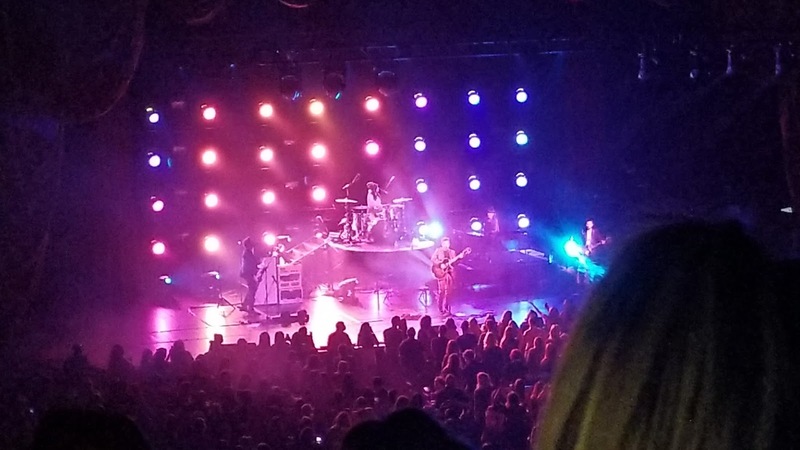 At first, I thought they were good seats and yeah, I could see Harry well enough but I wish they were better. Usually, mezzanine seats are better at other theaters. I love the red and black combination. It really matched with curtains at Radio City. Obviously, I am just happy he was talking about New Jersey on stage. Anyway, great experience. MUNA was pretty good too.